Whale & Dolphin Watching: Delight in the exciting sights and sounds of the many types of magnificent ocean creatures that live off the coast of Dana Point - a known landmark for whale sightings. Dana Wharf's tours offer rare glimpses into a huge variety of underwater wildlife that you'll never forget. 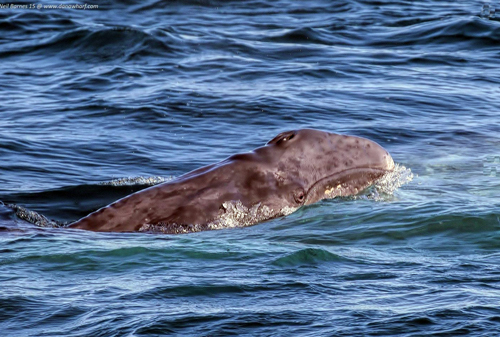 November through April is Grey Whale season. Come witness for yourself the rare sight of this majestic, endangered creature. Watch them as they migrate south and travel close to shore! Found only in the Pacific Ocean, this magnificent marine mammal is a sight you'll never forget. You'll also see Dolphins galore. We see many types of dolphins - common, Risso's, and bottle-nosed - all year long! Don't forget your camera, as schools of playful dolphins often frolic around the boat! All cruises are narrated by our seasoned captains who will educate you on the abundant ocean life on our coast. 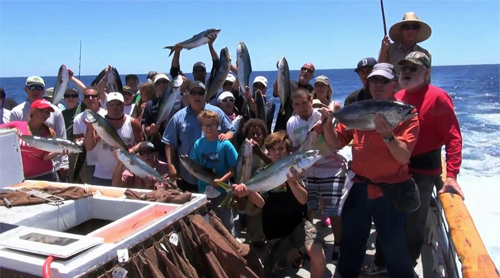 Sport Fishing: Our landing caters to the novice as well as the seasoned ﬁshermen. Our knowledgeable crew and expert skippers are always eager to help educate and instruct, if needed. The types of ﬁsh available to catch vary depending on the season and water temperature. 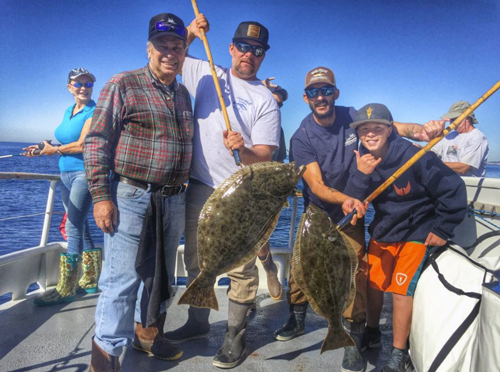 They include Halibut, Barracuda, Yellowtail, White Sea Bass, Sand Bass, Calico Bass, Bonito, and even Tuna. You never know what you might reel in, and that is part of the magic of ﬁshing. Our vessels are clean, and they offer a full galley with hot and cold food. Beer, soda, chips and candy are available for purchase (sorry, no coolers can be brought aboard the boat). If you do not have ﬁshing gear, rods and reels are available to rent. A day license for anyone over 16 years of age is required. Come join us for an adventure you will never forget. You just might get hooked on fishing! Adult (13 years +), Whale & Dolphin Watching Cruise. Dana Point, CA. No expiration date. Child (3-12 years), Whale & Dolphin Watching Cruise. Dana Point, CA. No expiration date. Adult (15 years +), 1/2-Day (5hr), Sportfishing Ticket. Dana Point, CA. No expiration date. Fuel surcharge may apply. Adult (15 years +), 3/4-Day (9hr), Sportfishing Ticket. Dana Point, CA. No expiration date. Fuel surcharge may apply. Valid for ONE Adult (21 yrs+). 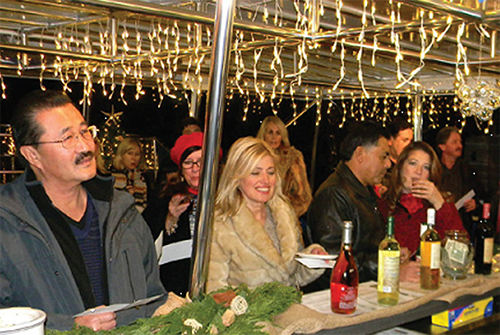 Includes a 90-minute wine and appetizer evening cruise aboard a luxury catamaran in beautiful Dana Point Harbor. Reservations are mandatory. No expiration date.